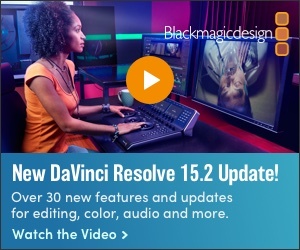 Blackmagic Ursa Broadcast cameras on the studio floor. 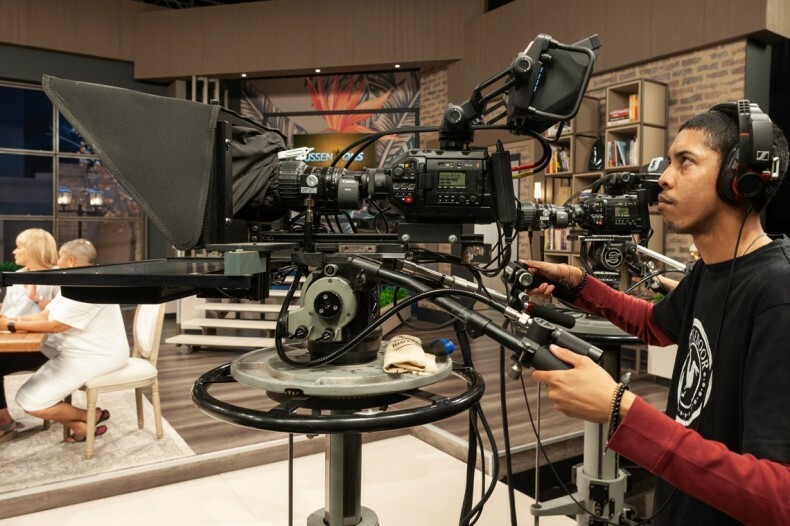 South Africa based Homebrew Films has completed an upgrade of their facility to UHD/4K that relies on broadcast infrastructure products from Blackmagic Design, including the Ursa Broadcast and Atem 4 M/E Broadcast Studio 4K. Based at Atlantic Studios in Cape Town, Homebrew Films delivers a huge variety of programming, from wildlife documentaries to soap operas and lifestyle magazine shows, including ‘Tussen Ons’, an Afrikaans version of ‘The View’ talk show, and local current affairs show ‘Kwela’. The Ursa Broadcast cameras are fitted with Canon KJ20 x 8.2 BIRSE zooms. 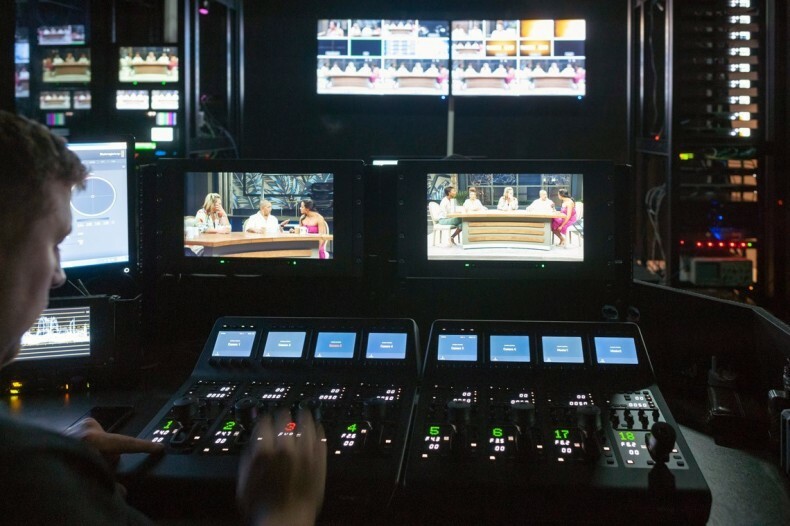 For live studio acquisition, Homebrew has acquired six Blackmagic Ursa Broadcast equipped with Studio Viewfinders and Canon KJ20 x 8.2 BIRSE HD b4 optics. Two Atem Camera Control Panels complete the chain and are used alongside the SmartView 4K and SmartScope Duo to rack and match the incoming feeds. Camera shading position with the Atem Camera Control Panels. 12G-SDI cable runs carry video with embedded audio from the studio floor to a Smart Videohub 40x40 in the broadcast gallery where each ISO camera feed is recorded to SSD using dedicated HyperDeck Studio 12G. The broadcast decks are also used for VT playback. TD with the Atem 4 M/E Broadcast Studio 4K switcher.